Mayor Marty Walsh signed an executive order to promote racial equity and inclusion in Boston agencies on Wednesday. Walsh first announced this executive order at the State of the City address. He signed it at the Museum of African American History. The executive order requires all city departments to proactively engage in a Racial Equity and Leadership, or REAL, Training Program, including data collection and evaluation of how racial equity is being advanced across departments. In addition, departments will be required to develop individual plans and goals for resilience, racial equity and social justice. “If we don’t do it as a city, there is no reason why companies and other agencies have to do it if we’re telling them what to do and don’t do it ourselves,” Walsh said. 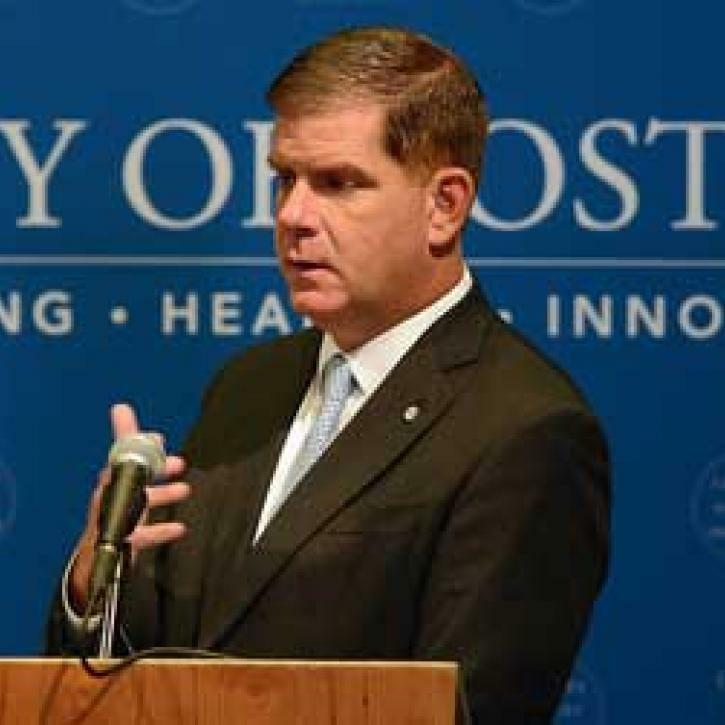 The work will be done in collaboration with the Mayor’s Office of Resilience and Racial Equality, or MORRE, which was established by Walsh in 2015. The office is tasked with leading citywide efforts to help Boston plan for, and overcome, racial and economic inequality.